The framework takes the image of an artist’s palette as its central metaphor. Typically, a palette is made up of a relatively small number of basic colors which can be used and blended in a great variety of ways. 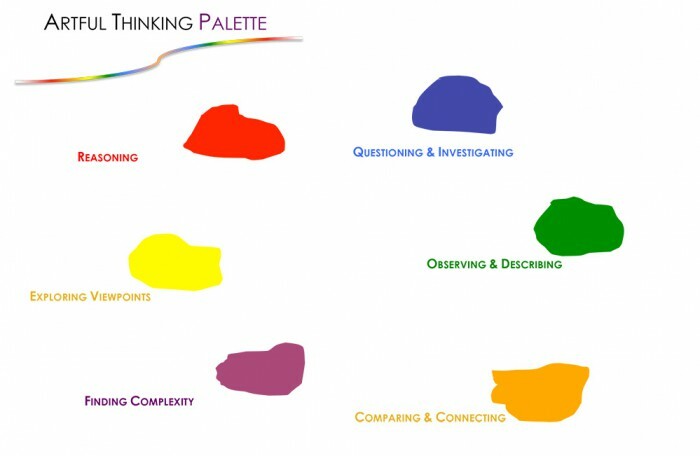 The artful thinking palette is comprised of 6 thinking dispositions – 6 basic colors, or forms, of intellectual behavior – that have dual power: They are powerful ways of exploring works of art, and powerful ways of exploring subjects across the school curriculum. 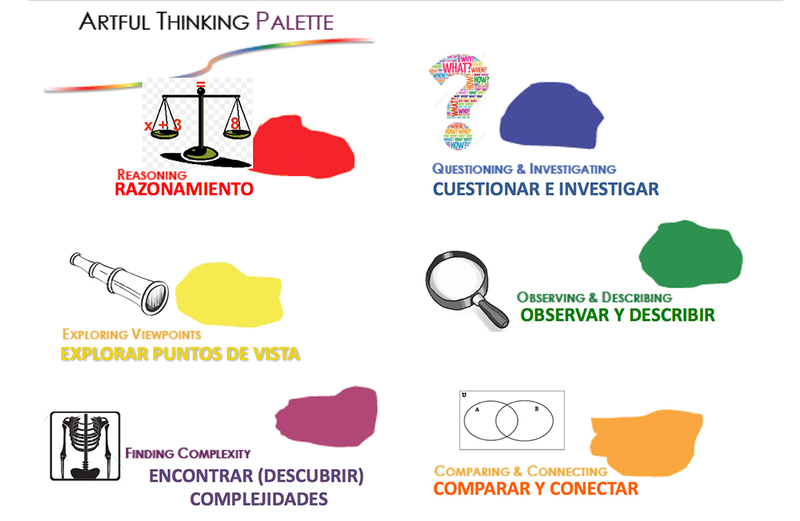 Click here for a Spanish version of the Artful Thinking Palette. The Artful Thinking palette comes alive through the use of “thinking routines.” Each thinking disposition has several thinking routines connected to it. Thinking routines are short, easy-to-learn mini-strategies that extend and deepen students’ thinking and become part of the fabric of everyday classroom life. They are used flexibly and repeatedly — with art, and with a wide variety of topics in the curriculum.